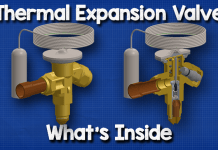 In this article we’ll be learning how thermostatic expansion valves work. The expansion valve is an essential component in almost every refrigeration cycle and the thermostatic expansion valve is the most commonly used within HVAC systems. You can watch the video tutorial on this article by scrolling to the bottom of the page. 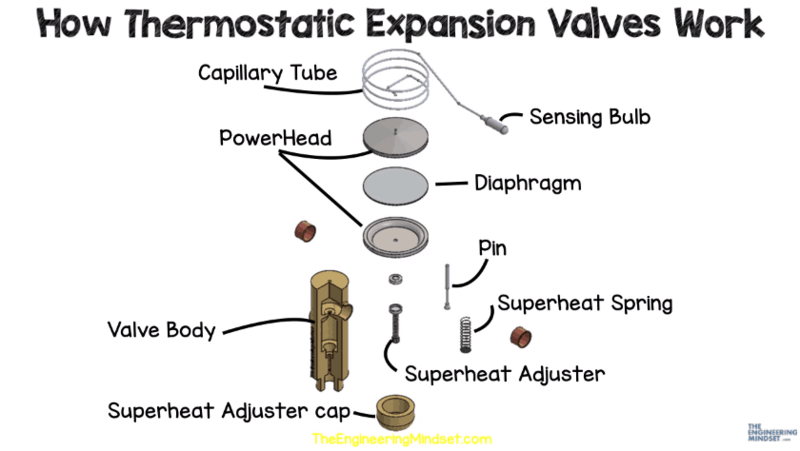 The correct name for this type of valve is the thermostatic expansion valve, however, this is often abbreviated to thermal expansion valve and has the acronym of TXV or sometimes TEV. Where to find the thermostatic expansion valve? 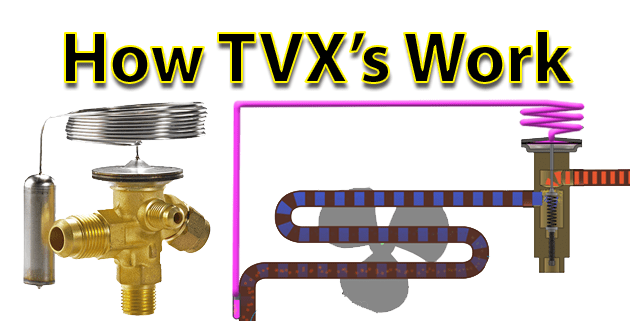 The TXV is used in many refrigeration systems, everything from simple split units to chillers. Small refrigeration units such as house hold refrigerators typically wouldn’t use a valve and would instead use a fixed orifice capillary. It doesn’t matter which type of expansion device is used, they can all be found in the same location which is just before the evaporator. There are many variants in design for this type of valve but they all follow the same basic working principle. The diaphragm which is a strong, thin flexible material, typically metal, which can flex to apply pressure to the pin. The pin, or needle, which moves up and down to vary the size of the opening within the orifice to control the refrigerant flow. The sensing bulb and capillary line which measures the refrigerant temperature, at the evaporator exit, and reacts to causes the valve to open or close. The valve holds back the high pressure liquid refrigerant from the condenser and controls how much refrigerant can pass into the evaporator. The valve decreases the pressure to allow the refrigerant to boil at lower temperatures. For example, we’re used to water boiling at around 100°c (212°F) that’s because most of us live near sea level so the air around us is compressed by all the weight of the atmosphere above us. However, if we went higher up into the atmosphere, say to the top of mount Everest, then we would find that water boils at only 70°c (158°F) and that’s because we’re higher up so there is less atmosphere above us to push down on the water, making it easier to boil. The boiling is essential as the refrigerant will absorb the heat from the ambient air and carry this away to the compressor. Just remember that refrigerants have a much lower boiling point than water. If you want to learn more on how refrigerants work, you can read or watch our tutorial here. The high pressure liquid refrigerant is forced through a small orifice which causes a pressure reduction as it passes through. During this pressure reduction, some of the refrigerant will vaporise and the rest will remain as liquid. It’s similar to a water bottle spray nozzle, as you pull the trigger the high pressure water is forced through the small orifice into a much lower pressure environment. This causes the water to become part liquid, part vapour. This mixture of liquid/vapour refrigerant is sprayed into the evaporator where it will absorb heat from the air, or water, which surrounds the pipe. In this example a fan is blowing air across the evaporator. 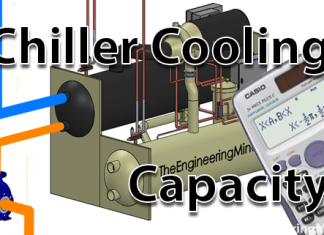 As the refrigerant passes through the evaporator, and is exposed to more thermal energy, it will undergo a complete phase change and will become a saturated vapour towards the end of the evaporator coil. 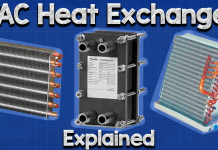 During this change there will be little to no temperature change because of the latent heat. Instead it will increase in enthalpy and entropy. The refrigerant will continue to pickup thermal energy and when it does this after the phase change, it will then start to increase in temperature. This superheats the refrigerant vapour. The sensing bulb, of the expansion valve, is monitoring this temperature to control the refrigerant in the main valve body. 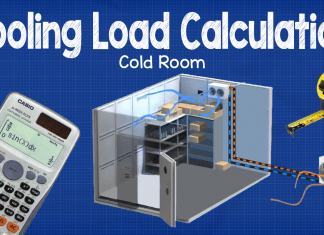 If the cooling load increases, more refrigerant will evaporate within the evaporator. This will cause the superheat to increase which means the refrigerant temperature will increase at the evaporator exit. The superheat temperature needs to stay within designed limits. Therefore it now needs to decrease and this can be achieved by allowing more refrigerant to flow into the evaporator. So the pin needs to be pushed down to compress the spring and allow more refrigerant to flow through the orifice within the main valve body. Inside the sensing bulb is a small amount of refrigerant which is separated from the rest of the system and constrained, in a closed system, to just the volume within the bulb, capillary tube and the powerhead. The sensing bulb detects the temperature increase as the thermal energy transfers through the pipe wall and into the bulb. This thermal energy causes the refrigerant within the bulb to boil and evaporate. Because the refrigerant is constrained to a small area, it will cause the pressure to increase and this pushes along the capillary tube and into the top of the expansion valve. This pushes down on the diaphragm, that pushes down on the pin which compresses the spring and allows more refrigerant to enter the evaporator. The valve will adjust to find the right position so that the force on the diaphragm is greater than or equal to the force of the spring pushing in the opposite direction. This allows the correct amount of refrigerant through which decreases the superheated refrigerant temperature, the sensing bulb detects this and adjusts until it equalises. 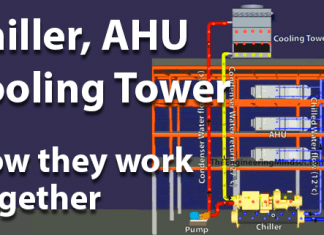 If the cooling load decreases back to normal, the superheat temperature will reduce. The sensing bulb will detect this and will begin to reduce the flow of refrigerant into the evaporator. The refrigerant in the capillary then flows back to the bulb and the main valve begins to close. The superheat temperature will also start to rise as this happens. Eventually the valve will equilise and the correct amount of refrigerant will flow through to match the superheat setting. 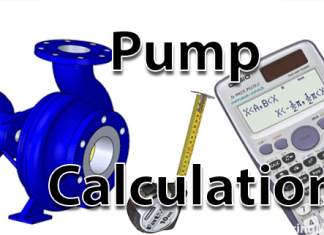 All of this happens automatically using this type of valve which is why it is so popular. There are other electronic expansion versions of this valve which provide greater precision but we’ll cover that in a later post. If the valve didn’t react to the superheat it could let liquid refrigerant pass straight through and into the compressor. Compressors hate this because liquids can’t easily be compressed. 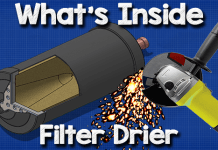 If liquid enters the compressor it can cause serve internal damage. Very very goog for working . This was excellent. As an apprentice who wants to learn but on the job the techs just dont have a lot of time to go into depth on the more complex stuff like this, your article really broke it down for me. I am a big fan of your posts and videos! great efforts of yours, making many engineering topics easy to understand, as my Uni lecturer used to say ” great teacher who simplify complex topics”. How it price of one pic, whats pressing of perching.